A local man and four Indians were sentenced to the gallows by the High Court here on Wednesday after being found guilty on two counts of drug trafficking. The five were convicted of trafficking in 5.8kg of illicit drugs five years ago at a Semenyih house which doubled as a drug processing laboratory. 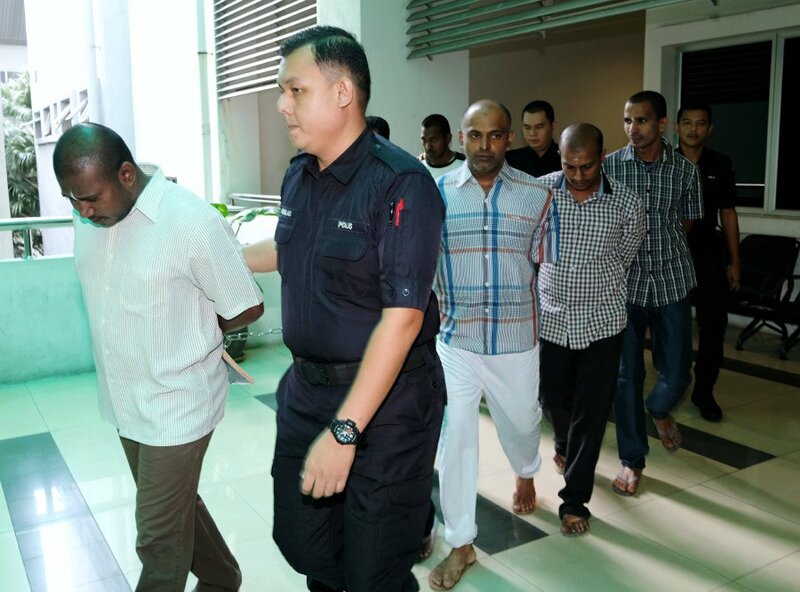 Judge Datuk Ghazali Cha handed down the sentence on Malaysian A. Sargunan, 42, and Indians Sumesh Sudhakaran, 30; Alex Aby Jacob Alexander, 37; Renjith Raveendran, 28; and Sajith Sadanandan, 29, after finding that the defence had failed to raise reasonable doubt against the prosecution’s case. The prosecution was conducted by deputy public prosecutor Deepa Nair Thevaharan, while Sargunan was represented by lawyers Datuk N. Sivananthan and Low Huey Theng.